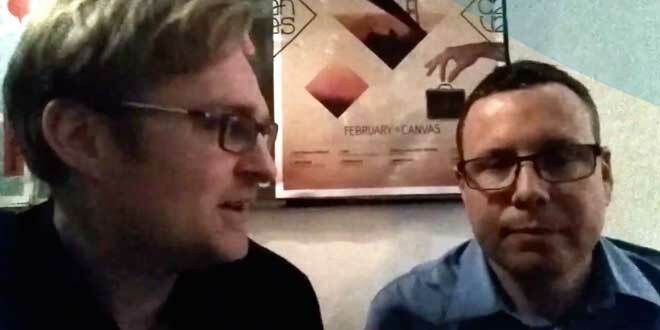 Here’s some great listening for you – Nxt core developer Riker chatting about Nxt, other cryptos and investing with Marc De Mesel, an investor who has 35% of his investments in NXT. Marc wants to learn about Nxt’s anonymous lead developer Jean Luc, about where Nxt is now, compared to Ethereum and other blockchain ‘competitors’, and also about the recently proposed changes to the Nxt protocol (the NXT 2.0 proposal). Riker explains how Nxt 2.0 aims to solve the blockchain bloat problem and make Nxt the first ever globally scalable crypto platform. Also: how Nxt, if version 2.0 were to proceed, would become a sidechain and how, with version 2.x, more sidechains could be added. Instead of implementing Some Asset < > Some Asset trading, Nxt 2.0 would make all Nxt AE assets tradeable across all sidechains, globally. Having a sidechain pegged to a fiat value, and other sidechains pegged to crypto coins like Bitcoin, Nxt assets would become tradeable on several new markets thereby, in effect, creating a fully decentralised, multi currency, low fee, globally scalable asset market, powered by Nxt AE. Nothing is yet set in stone, but as the Nxt 2.0 design has been discussed and refined for at least 6 months already among the Nxt core developers, there is every indication that Nxt 2.0 in its essence will be programmed as proposed, with all the remaining details hammered out in cooperation with the users, the active Nxt Community. Riker mentions how Nxt 2.x could also be of benefit to companies, a user category which has shown a lot of interest in the Nxt Monetary System (MS) but been reluctant to use it because of the current need for users to pay transaction fees in NXT. Now, with Nxt 2.0, they would be able to launch fully secured sidechains with Nxt features but without the sidechain users having to buy NXT to use it. As an example, Nxt MS tokens could be used as concert tickets, and only the business running the sidechain would have to pay fees to the Nxt main chain forgers. Another obvious use case, via the Nxt MS’s crowdfunding feature, would be to run crowdfunding campaigns in the sidechain currencies, such as fiat or Bitcoin. Some organisations would probably want their own private blockchains, and ask the Nxt core developers for their help. But would any such private work which the Nxt core devs might get paid to do ever benefit the Nxt investor? Should we be looking for companies which would be willing to pay for the core development of the open sourced Nxt? Or would such companies get too much power over development? Is there a risk that, if Nxt became a sidechain with Nxt 2.0, the value of NXT would CRASH bringing down with it all AE asset prices, as some people have been claiming in the ongoing discussion regarding the design proposal? If so, should AE asset issuers and asset investors run away from the Nxt blockchain asap? You’ll have to decide for yourself, of course. The crypto market is volatile and unpredictable, so who can really tell. Lots of noise on this video, lots of good information too. Thanks to Marc and Riker for doing this interview in Amsterdam. To follow Marc De Mesel on Youtube, you can subscribe to his channel. The Sound Key – helping you stay financially sound! Whatever method of storing and transferring monetary value you use (cash and cheques; digital fiat money or cryptocurrency) there will always be someone trying to steal from you. How to stop them succeeding is a constant battle and each technology has its particular inherent vulnerability or vulnerabilities. In the case of cryptocurrency, or more specifically the blockchain technology on which it is based, one such vulnerability has, until now, been how the “private key” is stored. The private (or secret) key is a sort of password that is used to digitally sign transactions that are then entered onto the blockchain. If a private key gets stolen, the thief can sign on behalf of the original owner and post irreversible transactions in the blockchain in his own favour. No matter how securely you store your private key on your computer or smartphone, it always has to be exposed in the device’s memory when it’s used (to digitally sign something). That’s the inherent vulnerability and it just takes a virus with some malware or spyware to sniff the memory at the right moment, and the damage is done. This is where the Sound Key comes in. It is a device, very similar to banks’ OTP devices, to store your private key outside your computer or smartphone’s memory, and to digitally sign documents or blockchain transactions offline and therefore safely. The Sound Key connects to computers or cellphones through the headset port. The transaction data, as yet unsigned, are sent to the Sound Key via the audio port on your computer or smartphone. Having verified that the unsigned data in the Sound Key display is correct, type your password in the device to safely digitally sign the transaction. That’s it. Your transaction is signed, sealed, and ready to be delivered. The Sound Key will then transmit the signature back to your device through the audio or speaker port. At no stage does your secret key ever leave its safe place inside the Sound Key. It’s anticipated that within a few years this kind of device will become widespread and popularly regarded as a necessity. The Sound Key is currently a prototype, and we want to bring you the best of what it can do. We are therefore working not only on the device itself, but also on the accompanying software development kit, to be backed by good customer support, so that innovators and users alike can benefit from it as much as possible. It’s the first device of its kind. It’s backed by private investors, so even if we don’t reach our pre-order goal, you will get your Sound Key when we start shipping. You can brand it with your own logo thanks to our whitebox option (minimum order applies). It comes with a development kit, to integrate its features into any app and website! It can be used with any cryptocurrency and other digital signatures (more signature algorithms will be implemented with time). It can encrypt and decrypt any kind of data (size limit applies based on model). It keeps your private key physically out of reach of malicious programs and people, as it NEVER leaves the device (the signature and encryption/decryption take place IN the device). The top model of the Sound Key can encrypt voice messages, without supplementary software, to be decrypted by a specific public key, and thanks to the audio connections, the encrypted messages can be sent via email, IM, or other apps. It can be used to identify users on websites or over the phone. If you want to see this idea come to life, come and give us a hand with our crowdfunding campaign. You can learn more about the Sound Key project at: www.TheSoundKey.com. Grewalsatinder has pushed a SuperMesh.io test release. Grewalsatinder writes: ‘SuperMesh.io Test Release is a small bundle of applications and services which provides easy access to various decentralized technologies like MeshNET, NXT Full Client, Decentralized DNSs, TOR websites/services (e.g. onion websites). It’s a basic feature build/OS which enables any person with some technical knowledge to build their own Raspberry Pi device and use it as a smart router providing easy access to MeshNET and Decentralized technologies’. You can find an updated grewalsatinder’s roadmap for SuperMesh.io HERE. You can find build updates on SuperMesh’s Github repo https://github.com/satindergrewal/SuperMesh and official forum thread till the official website gets ready. Note that there aren’t any .nxt websites to explore in the meshnet yet, as we just entered it. Eventually there will be, for example nxter.nxt will be set up soon for you to enjoy in the meshnet. Until then, you can find a list of useful meshnet websites related to the Hyperboria (CJDNS) network here: http://hyperboria.be/. SuperMesh.io and Nxt are not related to CJDNS and Hyperboria in any way. This first test release is for Raspi2 users only and will not be stable on older Raspberry Pi models. Upcoming releases may support all the old RasPi models. 3. Access to .nxt DNS. 4. Decentralized DNS with IPv4 & IPv6 Support. 6. Access MeshNET services as SuperMesh.io WiFi client with ease. 7. Access TOR services (.onion) as SuperMesh.io WiFi client with ease. 8. Run NXT Full Client using TOR Network. 9. Run NXT Full Client with IPv6 Support Enabled. 10. Easy access to NXT client via web page. 11. Auto Configure CJDNS and connect it to Hyperboria network. 12. Easy access to MeshNET websites/services as SuperMesh.io WiFi client. NOTE: This test release is still experimental. So, please evaluate it, test it, and if possible break it and/or improve its security features. Then share your findings and any solutions with the community as part of the ongoing process to optimise security and efficient usage. If you do enhance its security, please share your solution, so I can include that in the next build and put your name in credits. 2.1 Edimax WiFi Adaptor – Model EW-7811UN (for WiFi Access Point). 4. USB Keyboard & Mouse. 6. You can use micro USB Charger from most phones and cameras to power your Raspberry Pi. 7. microSD Card (8GB or 16GB) – I used SanDisk Extreme Plus. Little bit faster than usual. It’s very important to change your SuperMesh.io node’s default login password to something different and stronger. You can change the password after logging in to SSH or Terminal using command ‘sudo raspi-config’. Use arrow keys and select second option ‘Change User Password’ to enter new password. Open the file and change the value of ‘wpa_passphrase’. If your existing WiFi connection does not need any password to connect to just enter its SSID on line 6. Replace word ‘YOUR_WIFI_ID_HERE’ with your SSID. If your existing WiFi connection needs to be connected using a password, I have configured common settings there. Go to line 13 and update your WiFi SSID where it says ‘YOUR_WIFI_ID_HERE’, and replace the string ‘YOUR_WIFI_PASSWORD’ with your existing WiFi connection’s password. 1. Enable line 21 from file /etc/network/iptables.ipv4.nat. Remove ‘#’ from the line, save it and restart network interface, or just reboot the system. This will route all traffic of WiFi connected clients by default through TOR. Whatever service they access will pass through TOR network. You can visit website ‘ipchicken.com’ and it will show you your public IP and a hostname if there’s one for that public IP. But, some people still don’t trust the TOR service. That’s why I set it not as default to route all traffic of connected WiFi clients through TOR. In case you do not want to mess with iptables, you can use the second option. With the second option you do not need to make any changes to iptables or anything else. Just connect to WiFi Access Point of SuperMesh.io node and use proxy settings to surf internet through TOR. 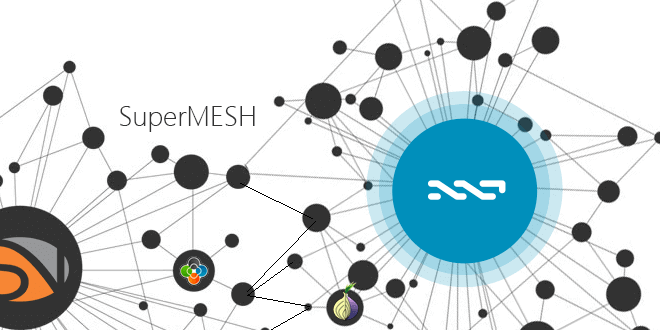 NXT Full node is accessible via all network interfaces of SuperMesh.io node. If you do not know what IP address the SuperMesh.io node got when you plugged the LAN cable into it, you can just connect to its WiFi Access Point, and visit http://192.168.10.1. On that web page click on ‘NXT Full Node’ link and access your NXT Client’s Web interface. The web page is static. This test release does not give any dynamic information, e.g. internet/TOR/MeshNET/LAN network conectivity info. However, future builds may do so. NXT Full node by default connects to peers through clearnet/internet. It does not route through TOR. If you want to enable TOR for NXT Full Node, you can edit the file ‘/home/pi/nxtpi/nxtrun.sh’. Open the file and remove ‘#’ from 3rd line and add ‘#’ to 4th line. Save the file and reboot the system. Next time SuperMesh.io node boots up it will be connecting your NXT Full node to internet through TOR network. NOTE: TOR settings for NXT Full node are exclusive to NXT only. Any changes made to iptables for WiFi clients will not enable NXT Full Node to route through TOR network. When you boot your system for the first time SuperMesh.io node by default generates a new CJDNS configuration file and populates it with a CJDNS Public Peer. You do not need to do any single settings or change your CJDNS Settings. If you still want to play with it, or want to see what’s inside your CJDNS settings you can check the file /etc/cjdroute.conf. If you want to see what your MeshNET IPv6 address is, enter command ‘ifconfig tun0’ or ‘ip addr show tun0’. The line with ‘inet6’ shows your IPv6 address. If you want to confirm if you are connected to CJDNS MeshNET you can ping to my CJDNS Public Node IPv6 ‘fcdc:1bde:c1f4:4b9c:5a91:d33b:d771:d492’. The build is now able to access Hyperboria websites, as the SuperMesh’s own temporary CJDNS public peer got some nodes connected which connects us further to existing Hyperboria only websites like ‘uppit.us‘ or ‘socialno.de‘ or ‘nodescan.hype’ (by slothbag). By adding that peer you’ll be able to connect to Hyperboria websites. But, maybe others still won’t. If you have made your SuperMesh.io node a public node, and your CJDNS is peered with a node which connects to Hyperboria, you can share your peer info with me, and I’ll add it to my CJDNS Public Peer. That will help other SuperMesh.io nodes out there connect to existing Hyperboria websites. Yes, having this SuperMesh.io node gives you a very easy platform to build your own website or service and make it available on MeshNET. This test release of SuperMesh.io node comes with ‘NginX Web Server’ installed with it. It’s a very lightweight web server. Do your research and check out how you can use your Raspberry Pi as a website server or for any other kind of services. This test release has everything set up to access services accessible through Decentralized DNS .nxt. You can setup your NXT Aliases to be used as Decentalized DNS. All existing NXT Aliases can be used with .nxt. Once the changes are saved and confirmed on NXT Blockchain, I can access my website using ‘satinder.nxt’ or ‘www.satinder.nxt’. Grewalsatinder writes: ‘I had issues while testing NXT Alias as Decentralized DNSs. Mostly the issues were due to wrong JSON formatting. You can copy your JSON string to the following online JSON editor and verify if your JSON string is valid: http://www.jsoneditoronline.org/. Once confirmed, only then use your JSON string as Data for NXT Alias to make a Decentralized DNS. It’s thanks to communities like NXT, CJDNS, Raspberry Pi, DNSChain, SuperNET and so many developers from related communities that this build was possible. I hope you’ll like this SuperMesh.io test release, and join this project to improve it further’. toenu – for adding .nxt support to DNSChain. If you want to support grewalsatinder for his efforts you can send some love in the form of NXTs. SuperNET developer jl777 has created ramchains: a compressed, memory-mapped implementation of the blockchain that is capable of blazingly fast operations. The innovation solves a critical problem with cryptocurrencies, and opens the door to completely new applications. The blockchain is the foundation of cryptocurrencies: the decentralised ledger technology pioneered by Bitcoin that makes trustless online money possible. Blockchains, however, have some serious problems. Because they contain all the information about every transaction ever made, they are large, unwieldy objects. Bitcoin’s blockchain runs to 28 GB and accessing these files, stored on the hard disk of users’ computers, is a slow and resource-heavy process. By storing only the most immediately relevant information from the blockchain in memory, ramchains allow for ultra-fast, random access queries to essential blockchain information, while keeping resource usage at a minimum. This is possible because the majority of operations do not require the full blockchain. Ramchains were developed by Nxt and SuperNET developer jl777 in response to performance issues on the Multigateway (MGW), a distributed cryptocurrency exchange built on top of the NXT platform. MGW forms a critical component of the SuperNET – the ambitious project to bring together the best technology and services that the cryptocurrency ecosystem has to offer. ‘A lot of the time consuming blockchain operations simply involve scanning the blockchain for unspent outputs,’ comments jl777. Creation of the ramchain – essentially a distillation of the most often-required information from the blockchain – is a one-time event. Once the historical blockchain has been processed, new blocks are added to the ramchain in real time. The ultra-lightweight ramchain files can then be accessed directly, bypassing slow coin daemons entirely. Because the file is memory-mapped, query speeds are dramatically reduced. If enough memory is available, the ramchain is stored in RAM; if not, virtual memory is used. 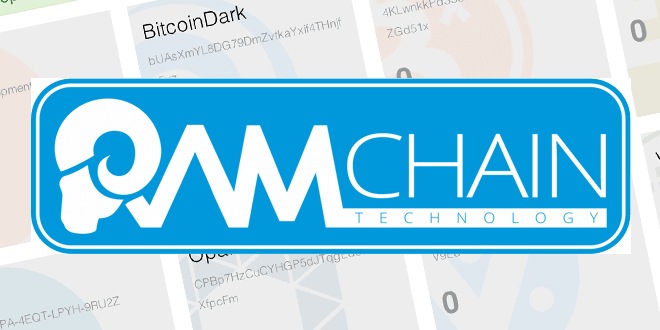 Ramchains is already deployed in the SuperNET beta Client (MGW), a distributed multicoin wallet currently supporting Bitcoin, BitcoinDark, DOGE, NXT, VeriCoin, OpalCoin, Litecoin, FibreCoin, VPNcoin and BitStarCoin. NxtVault is an open source Android application, which stores your Nxt passphrases encrypted in isolated secure storage. You will never need to enter your Nxt passphrase again, and you will no longer be at risk of viruses or keyloggers infecting your machine. Not only is it encrypted but Android’s security sandbox prevents other processes on your device from accessing the apps’ isolated storage. After three bad attempts at entering your pin you will be locked out for 1 hour. Another bad attempt and you are locked out for 24 hours. Another bad attempt and the application will wipe out all of its data and shut down. For every web transaction, NxtVault pops up and displays a detailed report of exactly what the transaction intends to do, giving you a chance to review and then either confirm or deny it. The goal of the developer isn’t hard to grasp: ‘To have every third party web application support this type of transaction’. 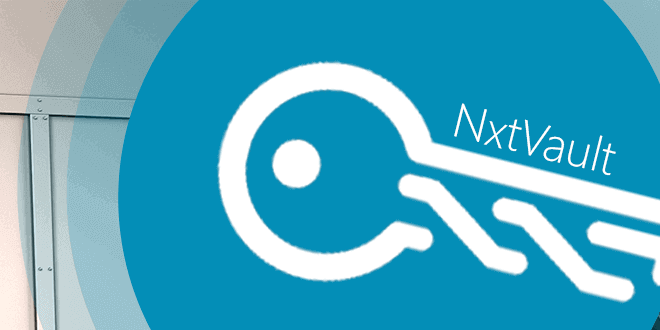 NxtVault supports the ability to scan a qr code of a JayClient transaction. Read more about the Jay Client. Jay includes http://jnxt.org/jayex/ which enables you to watch and trade your Nxt assets from a web browser; transactions are secured by the Jay framework and/or NxtVault. 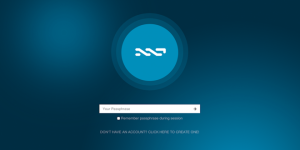 Sign in with your Nxt account, not your secret passphrase. Send your tx’s by scanning the qr code with NxtVault, or sign it with the Jay localhost client on your desktop. Other Android applications can raise an intent to NxtVault to request for it to sign and broadcast transactions on it’s behalf. I have created an API so that Android developers can create third party applications that are not required to be open source, nor will you need to worry about trusting them with your passphrase! NxtVault can handle both signing the transaction, and broadcasting the transaction to light nodes that are detected on the network, in a decentralized way. I hope that this will unleash a whole new suite of trustless android apps. To integrate NxtVault, you need to implement its intents (i.e. the messaging objects used to request an action from another app component). It seems we are witnessing a revolution in the corporate world caused by blockchain technologies. We’re moving quickly towards a new business ecosystem of virtual corporations, distributed autonomous corporations, smart contracts, new models of funding and so on. This article is about the exciting possibility of having distributed shareholders’ meetings where results are public and counted in a trustless way. Since late April last year, I’ve been working on the NXT cryptocurrency as a core developer. NXT is a 100% proof-of-stake cryptocurrency aiming “to transform a cryptocurrency into a decentralised financial platform that supports a thriving and fast-growing digital economy” (unlike hybrid Ripple’s approach which isn’t fully decentralized). Since 12 May, NXT has had the Asset Exchange (NXT AE) as a core feature. Anyone can now issue assets on this totally decentralized and uncontrolled exchange and trade them. You can monitor your Nxt asset purchases either via your client or via a number of independent web sites: NextBlocks, NXTReporting and SecureAE (where you can also purchase Nxt and issue assets). Read the asset descriptions and you’ll quickly gain an appreciation of the wide range of different applications and services that have already been built on top of the Nxt platform and they’re just the beginning; the start of what is set to evolve into an entire financial and economic ecosystem. The key feature of the NXT AE for businesspeople is that they can fund their business via asset issuance, getting money from anyone (not just angels/VCs, as with KickStarter), and they can do so from day one and for a low fee. Imagine getting funding directly from a community needing your product. And, wouldn’t it also be awesome to get feedback and community-powered decisions? With the voting system I have finished recently that will all be possible. The voting system will be introduced in NRS (NXT Reference Software) 1.5. The latest release version is 1.4.16, so voting API & GUI is already accessible. I can share some API details right now as they will likely remain unchanged. val question = "Further directions in game development. " val description = "I got some great reviews. I have 10000 NXTs left. How should I spend them?" So, we are soon going to have fair, cheap, public and distributed shareholders voting! Just imagine how that could change the world of business. 1. This blog post (as revised) was first released by Kushti on Jul 24th, 2014, on his personal blog. 2. The minimum fee to issue an asset on the NXT AE is 1000 NXT. The transaction fee is currently 1 NXT. [IMPORTANT UPDATE] The Nxt 1.7.4 hardfork! longer accepts connections from them. necessary, as block 445000 has been passed now. getNextBlocks request have been reduced from 192 MB to 10 MB. A checksum at block 445000 has been added. not result in any new blocks added. progress, as indicated by the above isDownloading property. to each known peer first, adminPassword required if needed. The run.bat script on Windows no longer uses the -server flag by default. Right client the exe file, in the Digital Signatures tab verify the signer name is "Stichting NXT", you can view additional information by clicking the "Details" button. Windows 32 bit users can either install from the zip or from the jar. 'Since we decided to distribute a 64 bit JRE there is no point to distribute a 32 bit executable', writes lyaffe. Create installer package for Windows and Linux using the IzPack installer. Added separate linux and windows (cygwin) build and release scripts. nxt.transactionLogInterval can be used to configure logging of slow queries. has been moved from the account table to a separate account_lease table. More table indexes have been added or existing ones modified. http proxy (if system property socksProxyHost or http.proxyHost is defined). Include expired prunable JSON in API transaction JSON, if available. provided as a parameter, or is not needed. 30 for platform, and 100 for announced address. Fixed a bug sometimes not showing notification badge after login. Improved Bulgarian and Slovak translations. This release will perform a full blockchain rescan on first start. delete the old lib folder first. Enable Voting System, Phasing, and related new features at block 445000. This is a hard fork, upgrade to 1.5.9 or later is mandatory for everyone. important changes and new features introduced in the 1.5 series. Updated some translation files, added Bulgarian and Catalan translations. This is a development release for testing only. Source code is not provided. but is also possible to run on main net. and lead to forks. Everyone running the experimental release should update. This is a bugfix release. Everyone is required to update. propagation and lead to forks. disabled by setting nxt.useWebSockets to false (default is enabled). corresponding forms on the /test page. Added DownloadTaggedData API, to download tagged data as a file. since it can now be retrieved separately using the DownloadTaggedData API. Improved search by tags. Improved validation of tagged data. Added includeEffectiveBalance to getAccount and getBalance API, default true. response, which should improve performance for these APIs. the number of connected public peers or the total number of know peers. peer in the last 30 min. without being prepared to handle them correctly. Added links to the Wiki documentation for each API request from the /test page. the same hash tag pattern, but most of them currently do. Implemented client side signing of the tagged data transactions. tagged data transaction from the transaction info modal. state for other languages (Beta: 70-80%+, Stable: 90-95%+). removed when a peer with dynamic IP changes address. or received from this address. that port, otherwise the hallmark is ignored. unless the requesting node does not provide such exclude parameter. Fixed the UI for AddPeer and BlacklistPeer to accept admin password if needed. This release will perform a full rescan on test net. Fixed processing of unconfirmed ExtendTaggedData transactions. AddPeer and BlacklistPeer APIs now require POST and admin password. This release will perform a full rescan on testnet. transactions from propagating between peers. Added permanent message option to most send transaction dialogs. nodes, and can be verified against the blockchain even after their expiration. data itself: name (required), description, tags, type, isText, filename. and metadata is prunable, after pruning only a single 32 byte hash remains. 1k above, up to the limit of 42k. UploadTaggedData - create and broadcast new tagged data. ExtendTaggedData - extend the expiration time of already uploaded tagged data. original transaction id) all of its fields too, i.e. name, description, etc. transaction increases the expiration deadline by two weeks (24 h on testnet). original submitter account id by which it is indexed and searchable. node, against the hash in the current blockchain. GetTaggedData - retrieve tagged data by transaction id. GetAccountTaggedData - retrieve all tagged data submitted by a given account. GetAllTaggedData - retrieve all existing tagged data. of data having each tag. GetDataTagsLike - prefix search of data tags. GetDataTagCount - the total number of distinct tags. use cases, depending on file type and target user group. properties that are used for prunable messages expiration. used. If submitting transactionJSON, it already has the prunable parts. but have not yet been received back from a peer. currently temporarily kept in memory during transaction processing. peers again, until received back. unconfirmed transactions nxt.maxUnconfirmedTransactions to 1000. The DGS goods delivery data size will be limited to 1000 bytes after VS block. Bugfixes in prunable messages processing. Fixed phasing with whitelisted approval accounts. This is a critical bugfix release. Everyone is required to update. Fixed validation of asset exchange order cancellations. Fixed excessive memory usage in unconfirmed transaction processing. messages in reverse block timestamp order. in the blockchain, i.e. has not been tampered with. current number of prunable messages in getState. of expiration timestamps are now used. be checked by the client UI only. also get all of them. compression status as a request parameter when reading them. and waiting for server events instead of polling. the signTransaction and getTransactionBytes APIs now. Added support for prunable plain and encrypted messages in the client UI. Added optional buyer parameter to getDGSGoodsPurchases API. Voting system UI improvements and bugfixes. will be enabled at the same block as the Voting and Phasing features. Prunable plain and encrypted messages. message, the message data itself is never a part of the transaction bytes. id unaffected by the pruning. transaction will still be accepted. from the database will happen with some delay after their expiration time. are not included as part of their transaction JSON. parts are nevertheless saved and available immediately, not at finish height. will be pruned and not available at finish height. still applies). This is again subject to change before the stable release. block payload, even though only the 32 byte hash is in the transaction bytes. will also be increased substantially. 32 byte hash of it. There is no lower limit on prunable encrypted messages. message, or a prunable plain message and a regular encrypted message. be no good use case for them. unreadable data will be returned. optionally decrypting it if encrypted and if a secretPhrase is supplied. and decrypting them if a secretPhrase is supplied. The UI for those APIs will be implemented in a later release. created as a prunable message. can be used (default true). encryptTo accepts an optional compressMessageToEncrypt parameter, default true. parameters with which the transaction bytes have been created and signed. size restrictions and fee increases. left to the caller of the encrypt and decrypt methods to do. GetPolls now supports an optional includeFinished parameter (default false). Multiple bugfixes and improvements in the Voting System and Phasing UI. This release will perform a database upgrade with a full rescan on first start. On testnet, it will cause a rollback to block 256935.
these features on testnet, and is a required update for all testnet nodes. new features will be enabled has not been set yet. aggregate results, if processing is enabled, are kept. long as vote data is still available. Voting multiple times, changing, or deleting votes is not allowed. additional fee for any additional option (max 100 options are possible). only at finish height, if still valid and if the required quorum has been met. balance are reversed, except that the fee is not refunded. use a whitelist of accounts (max 10) allowed to vote for the transaction. if all phased transactions it is voting for are already in it. after the first vote from each account are ignored. approval. This can be used to create transactions with deferred execution. Pay on reveal secret is supported as a voting model for phased transactions. as parameters are available from the getConstants API. transactions (linked transactions) in the blockchain at its finish height. as they are not more than 60 days old, or themselves phased transactions. UI for them will be completed in a later release. The fee for making a transaction phased depends on the voting model selected. that depends on voter balances, the additional phasing fee is 20 NXT. transaction included in the vote. maximum block payload length, currently 255 * 176 bytes. were executed as a result of this order. (at least 2 characters long) prefix. SearchAccounts - full text search on account info (name and description). GetPlugins - returns a list of all installed plugins. DumpPeers - returns all active peers of a certain version. therefore providing such a database for download is still not trustless. GetLog - returns the most recent log messages, kept in a memory buffer. GetStackTraces - returns the stack traces of the currently running threads. Shutdown, getLog and getStackTraces require the admin password. are still included in the result even in the case of invalid transaction. transaction broadcast, otherwise only the error messages are returned. This change affects all APIs that end up creating a new transaction. and the voting models, the format of the resulting json has been changed. Added optional timestamp parameter to getExchanges and getTrades. Added optional account parameter and pagination support to getCurrencyFounders. an error field in case of an error. provided or is not needed. whether the peer was not already known. by a certain number of accounts or balance/asset/currency holders). of transaction types and total new transactions. Unconfirmed transactions are only displayed in the "Dashboard" and "My Transactions"
pages and no longer appear in other tables. the actual trades mathcing the specific order. New account login feature for faster login just by Nxt account. User specific client DB with new logout option to clear user data. Phasing tab was added to the transaction info dialog of phased transactions. seen on a separate settings page. Plugins can hook into the new "Plugins"
sidebar navigation item or provide their own navigation structure. warnings both on the login page and within the plugins folder. structure and be shipped with a manifest.json file with some meta information. index instead of by id, to take effect after Voting System Block. only for cjdns users or multihomed nodes. non-SSL port is hardcoded to 6876 and SSL, if enabled, to 6877.
setting to control how often the trim is run, default 1000. This release requires Java 8 and will not run or compile with Java 7.
on top of a previous installation, delete the old lib folder first. There are no code changes, only the jetty libraries have been updated. Delete the old lib folder before unpacking on top of a previous installation. Possible fix for the invalid CurrencyMint counter exception. Made URLs in descriptions clickable and fixed potential XSS exploit problem. Added debugging output for failing currency mint transactions. Reduced default numberOfForkConfirmations to 2. Peer networking improvements, better logging, bugfixes. News page now loads correctly when the wallet uses https. Nxt forum message updates are displayed instead of new topics. Feed refresh is performed whenever the news page is refreshed. peer to replace the current last block. of a currently forging account (i.e. prevent front-running in forging). will still be generated and submitted. which can be controlled via the nxt.forgingSpeedup property. within 1 s accuracy, and are not possible to modify. only when admin password is not needed (disabled or running on localhost). time. A shutdown after the first start is recommended to compact the database. also returns a needsAdminPassword boolean, to indicate this. Fixed a bug in transaction validation that could break blockchain downloading. The default (and minimum allowed) value for nxt.maxRollback is now 1441.
potential out of memory attacks. Improved display of blockchain downloading status in the client UI. verification failed errors and break forging. still below the last hardcoded checkpoint (currently MS block). blacklist a peer, for the default blacklisting period. a new Networking tab on the /test page. IP address provided they use different ports. number of known peers is limited to nxt.maxNumberOfKnownPeers (default 2000). data in a separate table. delete your lib directory first to remove the old jetty libraries. API server is listening on the localhost interface only (the default). The password protection can be disabled by setting nxt.disableAdminPassword=true. even in the complete absence of blockchain data, as needed for the MintWorker. returns 720 blocks, if available. trusted. The secretPhrase is also not logged to the log output anymore. Added second row of info boxes on Dashboard. Account leasing dialog now displays the number of blocks until lease expiration. Fixed named account links on the transaction info dialog. Added language selection to welcome screen. 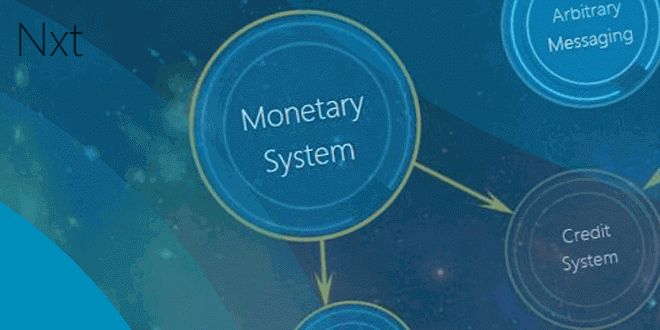 Added translations for monetary system for different languages. 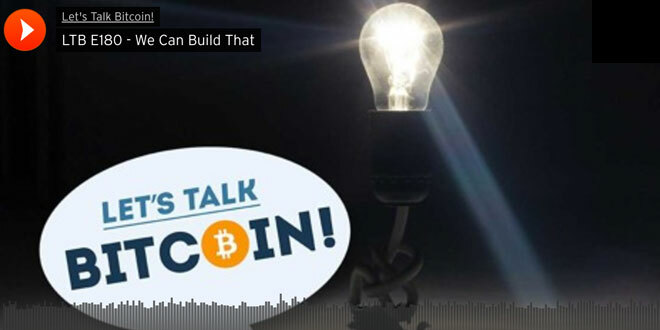 Kushti and Lyaffe, Nxt core developers, interviewed by Let’s Talk Bitcoin. True to form, the NXT Core Developers continue to deliver groundbreaking new features for Nxt. Because of their uniqueness and many possible use cases, I am especially excited about these ones (expected to be released within the next few months): the Monetary System, Voting System, and 2-phased Transactions. The Monetary System is the feature closest to being released and, at the time of writing, it will be brought to the mainnet at block 330000 (roughly Jan. 10th). This is a way for anyone with a few NXT to create a fully fledged digital currency. MS has a unique property: namely its ability to mint currencies. Minting is very similar to mining with the key distinction that it is used solely for the distribution of a currency and the MS currency doesn’t need to rely on its miners for blockchain stability unlike the typical alt-coin. It helps miners of other cryptocurrencies to feel at home on a PoS system like Nxt. There is a steady and ongoing distribution and therefore now a way for minters to create value on Nxt’s blockchain, thereby providing another powerful answer to the negative comments often made about Nxt’s initial distribution (to stand alongside this one: the supposedly unfair distribution was, in fact, a deliberate move to create a sustainable system). A mintable currency doesn’t depend on the minters for the blockchain’s security, a MS currency that no one mints being just as safe as one with a large hashrate. Every MS currency is backed by the stability of the Nxt network. With mintable currencies, there will be a way, in effect, to transfer electricity costs into the value of a MS currency which can be directly traded for NXT, allowing for NXT to be exchanged without having to deal with exchanges at all. Also, MS currencies have the advantage of being controllable and, as such can be pegged, for example, to USD, or backed by gold or silver, thereby helping to ensure a degree of stability. This would bring us closer to solving the common cryptocurrency problem of volatility and allow for an MS currency to be used to purchase items without the fear of drastic price drops or rises. 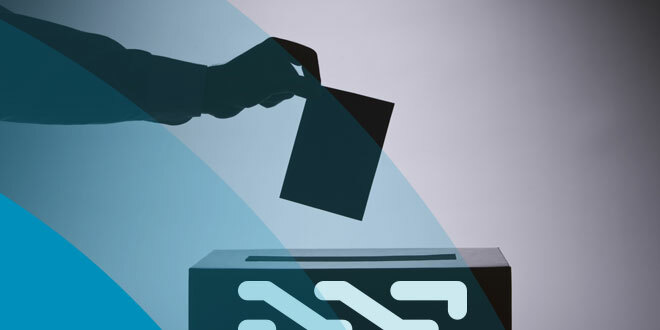 UPDATE: Nxt Voting System is on public testnet, ask for testNXT here. Next we have the Voting System, scheduled to be released in Nxt version 1.5, once the MS has been fully integrated. The voting system allows for polls to be created, voted in, and counted, all from within the Nxt blockchain. You are also able to weigh the voting, either by the amount of NXT owned, or by the amount of a specific Nxt asset owned. The most interesting subset in my opinion is weighing a poll by the amount of an asset owned. Asset owners can seek a consensus from asset holders about a specific question. Assets can be created and distributed in order to create decentralized voting committees that are given polls to vote on created by any member in the community. Polls can be created without fear of a Sybil attack (one person pretending to be many people to vote more than once) because one person with, for example, a holding of 100 jl777hodl has the same voting weight as 100 people who each have a holding of 1 jl777hodl. 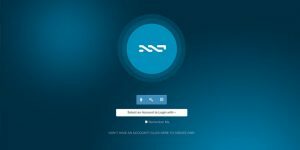 UPDATE: Nxt Phasing is on public testnet, ask for testNXT here. Finally we have the most abstract of the soon-to-be-released features: 2-phased transactions. This doesn’t yet have a definite release date, but will hopefully be launched around the same time as the Voting System, as parts of it rely on VS.
Asset holders can now vote to veto or accept payments made by the asset issuer or company on whose behalf the asset was issued. Trust-less escrow is possible by phasing two transactions in parallel. Joint accounts can be run with ease. As these features become operational, thereby allowing people to have control over making their own currencies, polls, and phased transactions, the use cases of Nxt as a platform will start to increase exponentially and Nxt will have moved still closer to achieving its goal of being a viable decentralized economic platform. Nxt is in the process of giving financial power back to the people. With this power in their hands, who knows what will be created next. A guide to the NRS Client interface is found here, or watch the video tutorials. Added a checkpoint at block 330000. Fixed currency search. Fixed handling of very high minting difficulties. Fixed concurrency issues with Scrypt minting, can use multiple threads now. therefore will not protect you against man-in-the-middle attacks when minting. currency to be accepted in the unconfirmed pool. Improvements in translations handling, documented in DEVELOPERS-GUIDE.md. blacklist peers with invalid hallmarks but just treat them as not hallmarked. Blacklist peers with versions older than 1.4.
and full download of the blockchain. Multiple minor UI improvements and bugfixes. This release will perform a rescan on first start, on testnet only. Refactoring of the UI html, splitting index.html into multiple files. Added offer and transfer links to currency exchange booth UI. should upgrade to 1.4.5 or later before that. changes and new features introduced in the 1.4 series. You can test Nxt Monetary System on Nxt testnet. 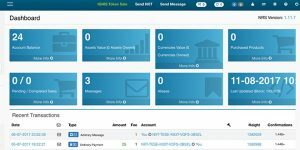 Nxt’s Monetary System allows users to create new decentralized currencies on top of the secured Nxt blockchain. New coins are highly customisable, with a wide range of parameters that can be set to govern their properties and use. The Nxt Monetary System (MS) enables the launch of altcoins without going through the trouble of bootstrapping the currency with its own blockchain and network, thereby removing a major impediment to easy, real-world adoption and use of different customized cryptocurrencies. The ultimate value of a new coin is determined by the market, depending on adoption and demand, and by the parameters set by the issuer. However, coins may also be created by ‘locking’ a certain amount of NXT, thereby giving a floor value to the issued currency at which they can be redeemed for NXT if desired. With Nxt, new coins are highly customisable, with a wide range of parameters that can be set to govern their properties and use. It is possible to launch an MS coin that is distributed by proof-of-work, but secured by Nxt’s PoS algorithm. It is also possible to create fiat- and commodity-backed tokens for particular real-world applications. These allow for the creation of bespoke and niche currencies for highly specific applications, crowdfunding coins, ‘regular’ altcoins, reward points, coins pegged to fiat currencies or precious metals, while also being a stepping stone to new future Nxt features, such as p2p loans, meaning that Nxt can become the underlying tech for a completely decentralized banking system. MS can be explored in the Nxt testnet, ask for testNXT here. The main net NRS release that will implement the MS System has also been released. Monetary System will be activated with block 330000, and nodes not running 1.4.5 or later will be on a fork. Read an NRS installation tutorial here or on nxt.org. A guide to the NRS Client interface can be found here – or watch the video tutorials. Monetary System offers greater exposure to NXT as the machinery that powers financial transactions, over and above its utility as a currency; however, this does not imply that NXT itself will become worthless. NXT remains a ‘decentralised store of value’, with fixed supply. MS currencies may become something akin to a decentralised credit system, meaning that users transact with MS coins but all of them depend on NXT for their ultimate utility. NXT will be bought by those looking to create currencies – it will not be used to purchase alternative currencies (as is presently the case). Coin shuffling. Claimable currency units can be shuffled and returned at the same exchange rate, allowing for anonymous transactions without potential loss of value in the process. Fiat-backed tokens. Once USD, GBP, EUR or other fiat currency-backed coins are trading, it will be possible to send fiat money using the NXT infrastructure. This brings the benefits of speed and very low transaction costs to international money transfers. Unlike with Bitcoin and other cryptocurrency transactions at the moment, there would be no volatility, and exchange rates would be negligible (or zero, since these tokens could simply trade internally within the NXT system indefinitely, until the recipient wanted to redeem them against fiat). Local currencies and exchange trading systems to benefit specific economies. Niche loyalty tokens issued by businesses to reward customers. These tokens would also be freely and globally tradeable, meaning the market would set their value beyond what they could be redeemed for within the business in question. The ‘Currency’ entity is the basic building block of the NXT Monetary System, currency has a unique name and code and uniqueness is guaranteed by the protocol, currencies can be deleted and their code can be reused under certain conditions. The total currency supply is divisible into currency units. Like assets, currency units support decimal positions implemented as a client side feature. The maximum number of currency units which can be issued per currency is similar to NXT: i.e. 10^9 * 10^8. The actual maximum units supply is set by the currency issuer. The currency issuer is the account which issues the currency and pays the issuance fee. The issuer is responsible for setting the currency properties and in some configurations has additional control over the currency usage. Like asset balance, currency units can be transferred between accounts. EXCHANGEABLE – the currency can be exchanged with NXT. Holders of the currency can publish an exchange offer specifying the buy and sell rate of the currency, in much the same way as banks or currency exchanges publish their exchange rates. Each account can publish only a single exchange offer at any given time. Exchange offers have an expiry block after which they are no longer in effect. Buyers and sellers can issue exchange requests to match published exchange offers. Unlike asset bid/ask orders, exchange requests are not saved, they are either executed immediately (fully or partially) or not executed at all. A match of exchange offer with a buy or sell exchange request creates an exchange entity which represents the transfer of currency units, in return, to NXT balance and causes the relevant account balances to update. Issuing an exchange offer reduces the NXT and currency balance of the offering account temporarily until the offer expires. Exchange offers also specify a limit on the number of exchanged units which can be larger than the number of units offered. When a buy exchange request matches an exchange offer the number of units offered for sell is reduced and the number of units offered for buy is increased as long as the limit has not been reached. Once the exchange limit of an exchange offer has been reached, this exchange offer can no longer be used. CONTROLLABLE – currency property suitable for currencies which need to track an external entity. It imposes the following limitations on the currency: (1) Currency can be transferred only to/from the issuer account (2) only the issuer account can publish exchange offers. The issuer account can issue a large (practically infinite) supply of units in advance, then transfer units to accounts, or offer to exchange units, to reflect actual transactions which take place in an external system. The large supply of units in the issuer account can be used to mimic the effect of creating units out of nowhere to support features such as creating new units and interest payments. RESERVABLE – currency units are not issued immediately. Instead the currency issuer sets a block height by which the currency is to be issued and a limit of NXT per unit needed in order to issue the currency. Currency ‘founders’ then spend their NXT to reserve their currency stake. If the amount of NXT per unit needed in order to issue the currency is not reserved before reaching the block height the issuance is cancelled and funds are returned minus fees. If the required reserve is allocated, the currency is issued and units are split between founders according to their proportional stake of invested NXT. In case of rounding, leftovers are sent to the issuer account. See below for a discussion of usage scenarios for Reservable currency. CLAIMABLE – currency units of reservable currency can later be claimed at the same NXT per unit rate reached when reserving the currency. The ability to claim a currency at a certain rate imposes some practical limits on the rates at which users would want to exchange it. However claimable currency can also be exchanged if only for the purpose of exchanging the whole currency supply, so that the currency can be deleted. MINTABLE – currency can be minted using proof of work algorithms in much the same way as Bitcoin. Unlike Bitcoin mining, minting currency does not secure the network (this is done by NXT). Minting is used solely for creating new currency units and serves as the only mechanism to increase the number of available units after the currency issuance. NON_SHUFFLEABLE – this property indicates that in the future this currency cannot participate in coin shuffling. By default currencies are allowed to participate in shuffling. Properties are combined into an Integer bit mask designated as the Currency type. For exchangeable currency, each currency holder account, can publish a single exchange offer specifying the buy rate and sell rate vs NXT and the number of units she is willing to exchange (which cannot exceed her available currency units and NXT balance). Users can observe all currency exchange offers (intuitively similar to fiat exchange offices) and try to match them with buy/sell exchange requests. An exchange offer has an expiration height, as well as a limit on the total number of units which can be exchanged. When units are bought from an exchange offer the number of units to sell increases automatically and vise versa. The publisher can also limit the total transaction volume of currency units traded for a specific exchange offer. The only way to create new currency units after issuing a currency is using proof of work minting. Other methods of creating units are susceptible to denial of service attacks and/or sock puppets and are therefore not allowed. The controllable currency type provides a partial solution for creating new units, by allowing the currency issuer account to treat her supply as a treasury and only consider units outside of this account as the total currency supply. This approach requires users to trust the currency issuer which can increase the currency supply at any time. Users can issue minting requests in order to mint additional currency units. Each minting request triggers a hash calculation based on the submitted data and the currency hash algorithm. The resulting hash code is compared to the target value derived from the current currency difficulty. Minimal and maximal currency difficulty values and minting algorithm are specified when issuing the currency and cannot be changed later. The expected number of hash calculations (i.e. difficulty) of minting the first unit is 2^minDifficulty while the difficulty of minting the last unit is 2^maxDifficulty. Difficulty increases linearly from min to max based on the ratio between the current number of units and the total supply. Difficulty increases linearly with the number of units minted per CurrencyMint request, small minters can mint only a few units per request while large minters can mint large number of units per request. The number of units per minting request is limited to 1/10000 of the total unit supply. Minting is limited to a single minting transaction per block/account/currency. Currency issuers can specify initial supply of units as a ‘pre-mint’ supply assigned to the issuer account then use crowd funding by making the currency RESERVABLE and EXCHANGEABLE. Once the currency becomes active the delta between the current supply (reserved supply) and total supply can be minted. The NRS provides a Java based, reference implementation minter, which can be used for minting. In practice we expect users to enhance this minter to calculate hash codes using their Asics or GPUs, trying to match the current target, and when solving a hash, to submit a currency mint transaction (thus paying a fee). However the hash code is smaller than the target, the currency units are credited to the sender account. The combination of RESERVABLE and CLAIMABLE properties can be used to allocate initial value for a currency by locking NXT. Once the currency is activated the reserved NXT are locked and the only way to release them is to claim back the currency units in return for NXT. This provides the currency with a value based on the locked NXT balance. Note: locked NXT do not participate in forging, therefore, in theory its possible that a large amount of NXT becomes locked as a currency store of value thus reducing the amount of NXT used for securing the network; we are aware of this problem and will monitor it closely. We do not expect this to become a major problem any time soon. The combination of RESERVABLE and EXCHANGEABLE properties can be used for crowd funding; in this configuration the NXT balance reserved by founders is not locked, instead it is sent to the currency issuer account once the currency becomes active. The issuer can use these NXT for its operations and the founders cannot claim back their currency units, only exchange them based on the published exchange offers. Currency issuers can specify the initial supply as ‘pre mine’ and the founders get to share the difference between the reserve supply (also named ‘pre-activation’ supply) and the initial supply. Re-issuing an existing currency with different properties costs 40 NXT regardless of the currency code length. All other currency transactions (as of today) have a fee of 1 NXT. Currency is measured in units and like assets has decimal positions, however the blockchain maintains currency balances as a whole number (QNT). Therefore, for example, in the case of a currency which has 2 decimal positions and the client has reserved 123.45 units, the ‘units’ value submitted in the API call should be 12345. APIs using NXT balances should send the value measured in NQT as usual. When specifying ‘rate’ in the API, it calculates the ratio between NXT balance in NQT and currency balance in QNT. In order to prevent rounding problems when submitting information to the server, the UI enforces the following rule: If a currency has D decimal positions. Unit values cannot have more than D decimal positions and rate values cannot have more than (8-D) decimal positions. Therefore when issuing a currency, we do not recommend specifying more than 4 decimal digits so that conversion rates are also divisible to at least 4 decimal digits. Before issuing a currency we recommend issuing a currency with the same properties on the testnet and experimenting with all parameters since these cannot be changed without deleting the currency. This documentation reflects the actual code implemented as of this date. This section is relevant to API and client developers. Nxt Monetary System is only one Nxt CORE feature. Read other articles from the Nxt [CORE] article series. Nxt Marketplace (formerly known as the Digital Goods Store, or DGS) is a decentralized mall created for buying and selling digital goods. Like the Asset Exchange, it is built into the Nxt client and enables direct peer-to-peer trading. Although it was designed for buying and selling digital merchandise – music, ebooks, software, and so on – physical items have also been listed for sale. 1] A developer sends a message describing a product (it’s stored on the blockchain). 2] A user sends a payment to the developer’s account. 3] The developer sends an encrypted message with a link or a code (stored on the blockchain as well). 1] Developer publishes their account on their webpage to prove they are the legitimate owner (or uses Reputation System of NXT). 2] All actions are public and can be audited (the encrypted message can be audited if one of the parties reveals the key). 3] Only transaction fees are charged, 100% profit goes to the developer. 4] No one can shut the store down nor they can DDoS it. (* Note: ‘to unlock premium in the application’ means, in effect: to obtain the product). 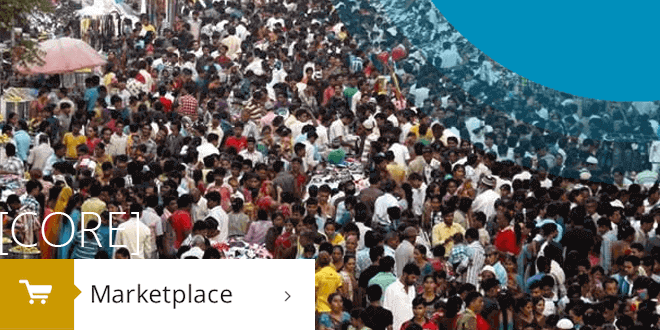 Nxt’s decentralised Marketplace was released at block 210,000, on 1 August 2014. Now, large parts of the workflow described by BCNext have been automized in the NRS client. You can list your digital (or physical) goods with ease, set a price, change or cancel the listings if you wish, and communicate safely with your customers through encrypted private messages on the Nxt blockchain. Costs are limited to the transaction fee and the cost of exchanging messages (both currently 1 NXT). Listing and selling goods through the Marketplace is free, except for transaction fees. Buyers are able to search goods by issuer ID (account), item name or by tag (category). Buyers can set an order expiration date, and also leave private or public feedback after receiving the product. There is a video tutorial available here. The launch of Nxt Marketplace was met with great enthusiasm in the Nxt Community, but since then relatively little community energy has gone into developing it further. There are few user-friendly solutions (like Secureae.com for the Nxt Asset Exchange). Melodius.me is the most promising announcement so far. Due in Q1 of 2015, Melodius is a website for independent artists, built on top of the Nxt Marketplace. A partnership with crypto exchange CCEDK allows users to buy and sell their music, concert tickets, merchandise and shares not only with cryptocurrency (NXT and BTC) but also with fiat money in their local currency. This significantly enhances the buying process, since Nxt remains very much in the background. The attraction for indie artists is the low commission fees; whilst iTunes and Google Play take substantial percentages of artists’ sales, Melodius charges only the standard transaction fees required by Nxt Marketplace. Every penny earned goes directly to the artist. Interestingly, the CEO of CCEDK, Ronny Boesing, worked in the music industry for many years, selling music around the world for major brands. His partnership with Melodius brings together two areas of interest and expertise. A possible concern with having a decentralized and unregulated global marketplace may be that it attracts people seeking to circumvent the laws of their particular country. Nxt has chosen not to censor goods, but 3rd party sites like Melodius.me can easily filter listings according to their niche, their users’ choices or their local laws. When buying and selling goods online there is, as in the real world, a chance of getting scammed. There are far too many sad stories about people (and not all of them anonymous) in the crypto world who turned out to be scammers. The solution is to be on your guard at all times, preferably only deal with people you know, always do your due diligence and, if possible, use a trusted escrow for larger transactions. There is currently no escrow or reputation system implemented in the Nxt core (Reputation System is a feature planned for future development), but a solution for 3rd party clients or websites could be to implement CONCORDE, the escrow system developed by blackyblack, which is currently being tested on Nxt Testnet. Concorde will be included in the next release of FreeMarket, a 3rd party marketplace built on top of Nxt’s Arbitrary Message feature, but can be integrated into any Nxt system. At present, Nxt Marketplace is being used, but mostly through the Nxt NRS Client. It remains a hidden gem of Nxt: an almost undiscovered secret, ready to be put to wider use. A few listing sites are available, which detail all the goods for sale on Nxt Marketplace; users can see and search the goods, but everything must still be bought and sold with a Nxt Client. An example of such a listing site is http://jnxt.org/market/. The goods sold are up to the imagination of the sellers. A house has been put up for sale, ebooks and articles are sold, domains, oil paintings, screensavers, a NXT faucet organised (NXT-55AK-82KK-DK3Q-6U4RN), crowdfunding has been attempted, NXT node operation services arranged (NXT-9TNK-QXJ6-YPMY-32CTA), NXT lapel pins (NXT-WBFF-3UMJ-RMLD-7VWS4) are available, even home-made maple syrup is offered (118670936523580125). Also, Nxter.org has its own store, NXTER STORE (NXT-EAVH-SLEV-KSEE-EE2KP). The low fees and decentralized nature of Nxt Marketplace mean that it can solve real problems, not least for writers, musicians, developers and other digital content creators. Nxt Marketplace can easily be made the backbone of an app store, a decentralized crypto exchange, a subscription-based payment system for magazines, game updates, or even a full-featured crowdfunding platform. Only the imagination of the developer – or the business ordering the use case – sets the limits. As one new Nxt developer wrote in early March 2014, ‘This [Nxt] is almost like building with lego bricks again’ – this person ended up coding SuperNET. Nxt Marketplace is only one of the Nxt [CORE] features available. used also to get total goods or purchase counts. only. Added withPublicFeedbacksOnly parameter to getDGSPurchaseCount. for any seller, or by name and then by timestamp if for a single seller. Improved performance of Marketplace page, show counts for goods in stock only. Increased default purchase delivery deadline to 168 hours (1 week). 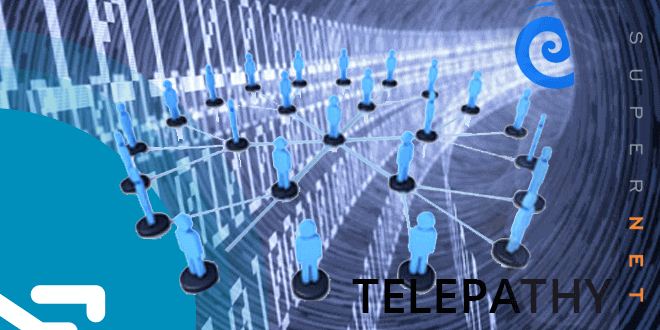 to do a separate getPeer request for each peer. Include cumulativeDifficulty in the block JSON. transaction bytes being signed, if an optional validate=false parameter is added. the full blockchain downloaded, which normally prevents validation. Allow sending messages with no recipient. Automatically blacklist peers with version older than 1.2.0. UI improvements of the API /test page. 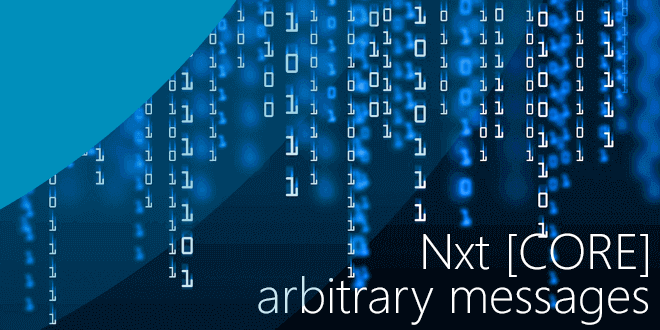 The Arbitrary Message (AM) feature enables Nxt users to send small amounts of data to the Nxt blockchain. A simple concept in theory, but the applications for this feature are extensive. Arbitrary Messages commonly take the form of SMS-length communications between users. This was the first application and is still one of the most popular uses for AMs, but the term ‘message’ is a loose one: as well as being used to send public or encrypted text messages to each other, AMs can also be used to send up to 1,000 bytes of any form of data. At its simplest, messaging involves sending a string of text from one NXT account to another. These messages can be viewed within the client. There is also an option to encrypt messages. If they are left unencrypted, they can be read by anyone since the blockchain is a public record of every transaction. Like a regular transaction, AMs are subject to standard tx fees – currently 1 NXT. There are, of course, many valid use cases for unencrypted messages. A famous example is the AMs sent to the hacker who stole 50 million NXT from BTer’s hot wallet on August 15, 2014, or jl777’s use of an AM to cancel the SuperNET deal with CoinEVOLVE after the dev created a series of scam assets and went missing in action. You can view a list of all blockchain messages here. Although transactions on the blockchain are meant to form a permanent record, AMs are intended to be removable. In the future, when the blockchain has grown and needs to be slimmed down to ensure its sustainability, messages may be pruned. Nevertheless, they form a critical building block in NXT’s second-generation functionality, underpinning a series of features. At the most basic level, the AM system can be used to transmit human-readable messages between accounts, creating a decentralised chat system. However, advanced applications can use this feature to store structured data, such as JSON objects. These can be used to trigger or facilitate services built on top of NXT. The idea of a Twitter clone based on NXT messaging has been around since the earliest days of the platform. Nxtmemo (https://nxtmemo.com) is a straightforward version of this idea. You can add your nxtmemo profile to the blockchain, and BBcodes are available for showing images, links, medialinks, etc. Log into your nxtmemo account with a NXT token to choose your display name – it must be a NXT alias that belongs to your account. Simply send your unencrypted messages to NXT-W6CT-NPDH-AAQW-HWCHA to have them show up on the site. NXTMemo is free and open source, and is created and maintained by toenu. See more on the NXT forum. Cryptamail is a project created at Techcrunch Disrupt NY 2014 by a group of five developers, led by Kushti (now a Nxt core developer). The goal was to create a user-friendly decentralised email client with Alias-based identification. Although not currently in active development, Cryptamail is still running on the NXT testnet. It’s at cryptamail.com. Read more about this proof-of-concept on the Nxtforum. The Multigateway (MGW) is Nxt’s distributed cryptocurrency exchange – the least centralised such service currently available anywhere. The primary use case for AMs in MGW is the automated deposit and withdrawal of bitcoins and other supported cryptocurrencies. These are held on MGW’s secure servers and exchanged for tokens representing each currency in the Nxt Asset Exchange, allowing for direct peer-­to-­peer trading. There are three separate servers, at least two of which have to agree for a transaction to take place – making it vastly more secure than traditional exchanges. Essentially, MGW creates a deposit address for the Nxt user account for each of the supported coins. When the user sends coins to that deposit address, MGW delivers to the associated Nxt account the same quantity of coin assets (designated mgwBTC, mgwLTC, etc). Each of these assets represents one coin. Coin assets can then be traded on the NXT Asset Exchange like any other asset. MGW uses a similar process in reverse to withdraw coin assets back into the user’s own coin wallet. The requests to the MGW servers are broadcasted to the Nxt blockchain as Arbitrary Messages. Multigateway was originally a plugin to the Nxt NRS client from NXTservices. 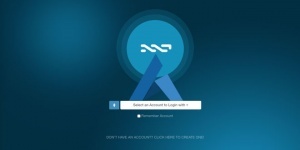 It has now been incorporated into the SuperNET client v.0, in the form of a modified Nxt client that can be downloaded from the Multigateway site. You can read more about the Multigateway here. Helix is a standalone cross-platform financial analytics and visualisation client. As a part of FinHive, a powerful distributed financial analytics initiative that is the backbone of SkyNET, Helix has the ability to learn. A small apps store for financial tools will be included in the client, not only for crypto but also for traditional traders. The Helix client includes a distributed computation module to provide BOINC-like functions, tailored towards the financial industry. It makes apps very independent and robust against attacks. It provides nearly unrestricted access from anywhere due to the decentralised storage. It provides on-the-fly autorepair/update capabilities. For example, if an app is broken due to an outdated API link, Helix can look for additional update/repair resources by scanning AMs and looking for the current app id. Where higher resource stamps are found, they can be added while Helix is running. Helix will be used by FinHive, a wholly owned subsidiary of SkyNET. You can see FinHive’s roadmap here. Read more on the Nxtforum. As a result of its versatility, AMs can be used to build a vast range of projects, from simple messaging apps to file-sharing services, decentralised applications, and higher-level NXT services. NXT is in ongoing and constant development, and changes to the core can always be proposed by the community. One of the topics currently being discussed about the AM feature is adding a standard for multipart messages or increasing the allowed message length, as new projects have started to link AMs together so they can save more data to the NXT blockchain. You can join that discussion on the Nxtforum here. Nxt is a versatile, open source cryptocurrency platform. In this Nxt CORE article series we will dive into the main 2.0 features of Nxt. The first article was about NXT, the token itself, the second about Nxt ALIAS system. Store) by adding search and browse capabilities. Implemented full text search using the Lucene library, as supported by H2. can be forced using the luceneReindex debug API. having name or description matching the query. getDGSPurchases API now takes an optional withPublicFeedbacksOnly parameter. If true, results are filtered to include only purchases with public feedbacks. optionally those with public feedbacks only. inStockOnly parameter, default true, to retrieve tags for goods in stock only. Goods JSON, unless includeCounts parameter is false. Include total numbers of Goods, Purchases, and Tags in the getState API.